A problem for most authors, especially self-publishing ones, is to generate exposure. Get the word-of-mouth machine enough seeds so that a following can blossom. One of the ways of doing this is to get one’s books into libraries. There is no cost barrier for readers to try out a new discovery. And then, who knows? The rise to best-sellerdom just might happen. As most authors know, however, getting one’s books into library is no easy thing. 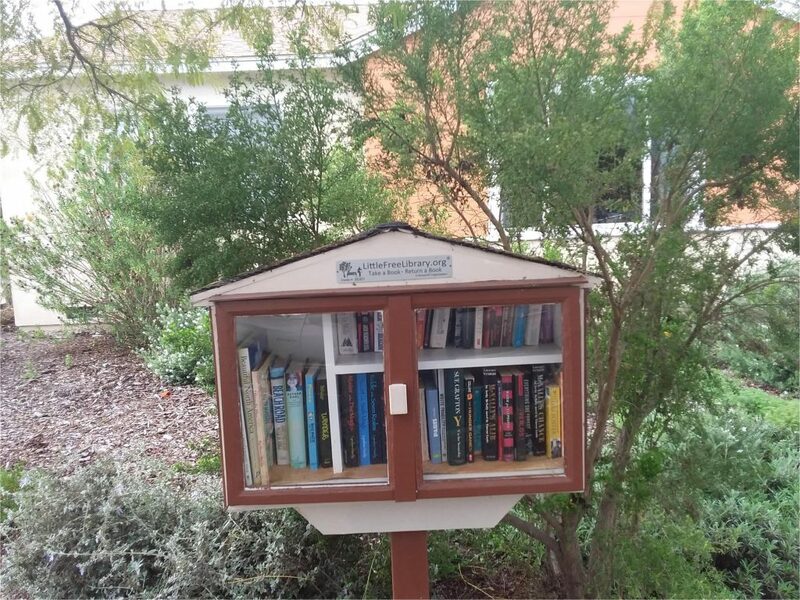 Local libraries are besieged by authors donating free copies of their books. There just is not enough physical space for them. Well, that is a generalization that is not totally true. 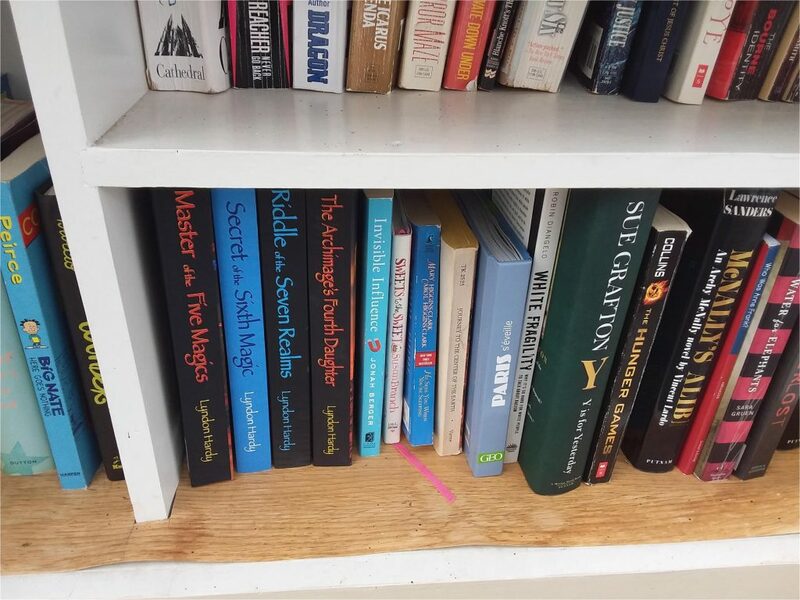 Recently, thanks to the generosity of a friend, I was able to be added to his public library shelves. The truck driver should have been paying attention, but he didn’t. The bridge was old, and the clearance not all that great. Half way through the underpass,he was stuck. Going forward, even in low gear did not work. Neither did trying reverse. The job looked like a complex one with a lot of welding equipment in order to remove the top of the cab. A long backup was already starting. The driver was on his phone explaining what had happened, when a motorist in the lane behind get the truck unstuck. How did he do it? Situation Puzzles are ones in which the poser sets forth a, well, situation that on the surface does not make sense or has a mystery about it. These descriptions usually are enigmatic enough that one cannot merely ponder for a while and then blurt out the answer as what is going on. The police burst into the room. Fred and Marsha were dead on the floor surrounded by broken glass and water. Tom sat unperturbed on the couch, but he was not even questioned. Why not? Others are more intriguing. Most are macabre – dealing with death by unusual means. Anyway, I have decided to start posting the best of my collection here on my blog. One every week. If you want to see the answer to this week’s puzzle, click on the button below. That will take you to another webpage from which you can download the solution. I am not looking for comments to this and other posts of the same type that reveal what the answers are. If you email me one, I merely will not post it. On the other hand I would be delighted to receive comments on how a session of playing the game went. Some in my collection are popular enough that you may recollect their solutions yourself or they might show up on another site. By whatever means you get involved, my intent is to have you try the puzzles on your friends and get the same enjoyment out of it that I did. After so many weeks at sea in the small life raft, the rescue had been miraculous. Only one of their little party had already not survived the ordeal — found dead in the morning of the very day that help finally had arrived. Now a month later, fully recovered and discharged, Mike decided to celebrate. He went to the fanciest restaurant in town and ordered a sumptuous meal. But after he took the first bite, he shot himself. Sirens were heard in the distance. The highway patrol was coming. Someone had tipped them off so that daredevil could not make the jump off of the high bridge into the river. He spotted the two cars closing in but they would not get there in time. The video cameras would record everything, and he would get another successful jump into his growing list of records. Without hesitating he jumped over the barrier and formed his body into a perfect dive. Unfortunately, this time he died in the attempt. The traffic is snarled as usual, but the commuter does not mind. It is like this every morning. He hums along with the popular song playing on his radio. A few seconds after the tune concludes, his sense of well-being turns to rage. He rushes home and kills his wife. Anyway, I have decided to start posting the best of my collection here on my blog. One roughly every week. If you want to see the answer, click on the button below. That will take you to another webpage from which you can download the solution. I am not looking for comments to this and other posts of the same type that reveal what the answers are. If you email me one, I merely will not post it. But your experiences in playing the game are most welcome. A burglar is startled by a loud noise outside the small dwelling he is trespassing in. Before he can react, the roof bursts into flame. There are no windows, and a single door leads to the outside. It is unlocked, but despite this, the burglar burns to death. How come? It is morning. The caretaker performs his daily inspection of the cemetery grounds. He sees a young woman crumpled near one of the graves. 911 is called, but she cannot be revived. There are no visible marks on her. A man was found dead on the ground. Nearby were two pieces of wood, sawdust, and a pistol recently fired. How did he die and why?